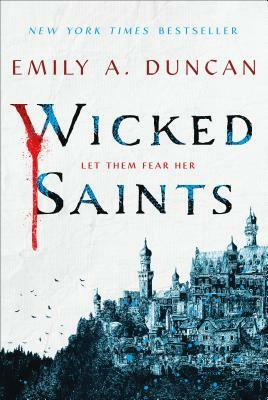 EMILY A. DUNCAN is the New York Times bestselling author of Wicked Saints. She works as a youth services librarian and received a Master’s degree in library science from Kent State University, which mostly taught her how to find obscure Slavic folklore texts through interlibrary loan systems. When not reading or writing, she enjoys playing copious amounts of video games and dungeons and dragons. She lives in Ohio. SEVENTEEN, "The 35 Best Young Adult Books of 2019 So Far"
BUZZFEED, "29 YA Books You Absolutely Must Read This Spring"
EPIC READS, "The 16 Most Anticipated YA Books to Read in April"
SYFY, "6 April YA Novels That are Out of This World"
"If you like your young adult fantasy full of ice, blood, and angst, Wicked Saints will sweep you up in its wintery embrace." - NPR, "3 Young Adult Novels To Help You Out Of Hibernation"